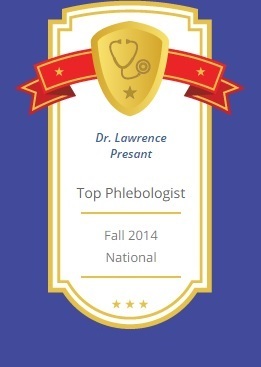 For the largest varicose veins, ambulatory phlebectomy may be the recommended course of treatment. 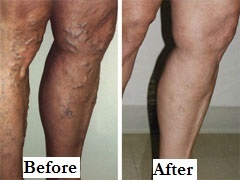 This minimally-invasive procedure involves micro-incisions along the length of the affected vein. A tiny tool is then used to remove the vein in small sections. Incisions can be taped closed, eliminating the need for stitches or any scarring afterward. Patients with varicose veins too large to treat with sclerotherapy or endovenous laser therapy are usually the best candidates for a microphlebectomy. Prior to treatment, Dr. Presant will perform a thorough examination to determine the presence of venous insufficiency and recommend a course of action. Patients experiencing painful symptoms with their varicose veins may also qualify for insurance coverage for all or part of the procedure. Ambulatory phlebectomy is performed on an outpatient basis using local anesthetic. 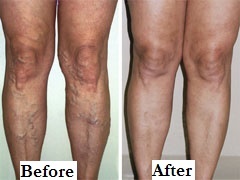 The procedure may take between one and two hours to complete, depending on the number of veins to be removed. Phlebectomy may be performed alone or in conjunction with other vein treatments, such as sclerotherapy, to maximize results. After the procedure, sterile strips are placed across the incisions to help them heal. Compression stockings are also worn for a few days after the procedure to promote healing and healthy blood flow in the area. Most patients do not require any type of pain medication after the procedure and can return to light activities right away. Dr. Presant is highly experienced in the ambulatory phlebectomy procedure and provides excellent results with almost no downtime after the procedure. To learn more about how you can eliminate painful varicose veins, contact Dr. Presant’s staff at Arizona Vein Specialists today at 480-945-0910.